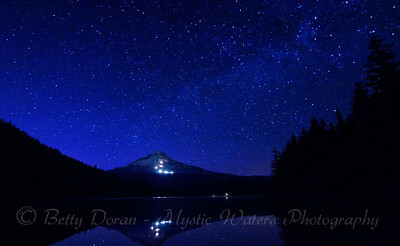 Nestled under a diamond crusted blanket... enjoying the beauty of the night. 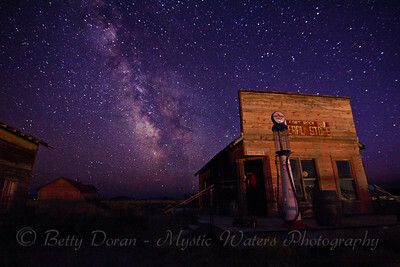 A vintage gas pump stands among the sagebrush in Oregon's Outback...a timeless reminder of yesteryear, and an invitation to take a heavenly road trip along the Milky Way. 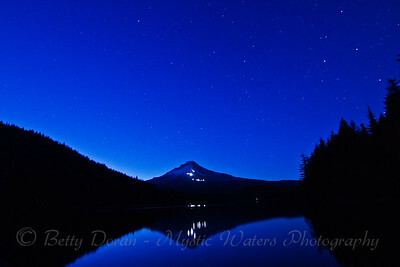 Bedtime for Mt. 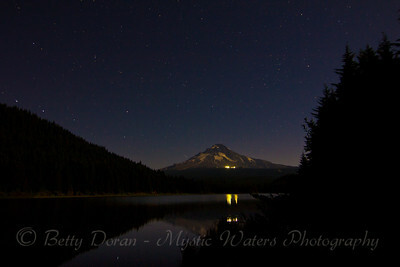 Hood - as it snuggles under the cloud covers with a Milky Way night light. 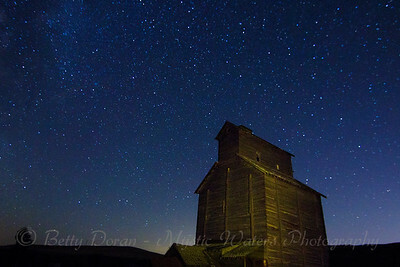 A shooting star crosses the Milky Way in the skies above Dufur, OR, while a vintage grain elevator is silhouetted against the night sky. 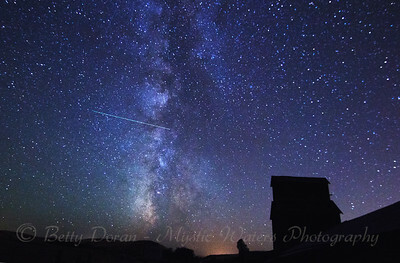 So quiet here...alone before the universe, the only sounds gentle winds rustling through prairie grasses, and the occasional howl of a distant coyote. 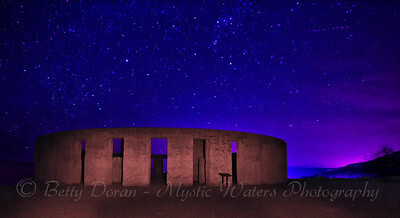 The Stonehenge WWI Memorial stands tall under the stars in Goldendale, WA... and one can almost hear the echoes of time, and the universe beyond. A silhouette of Mt. 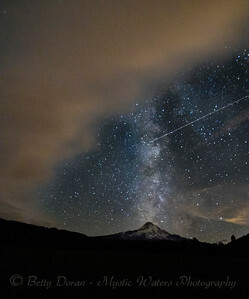 Hood is visible on the horizon. 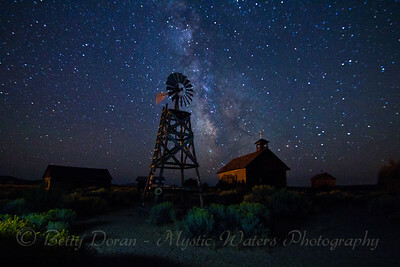 A church from pioneer days and vintage windmill stand as a gateway to our past, and to the galaxy beyond. 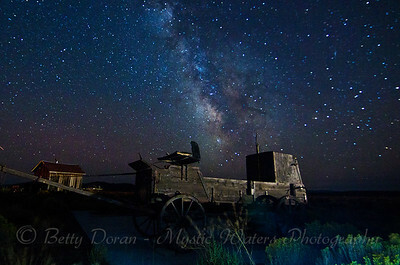 Taken at Fort Rock, in Oregon's Outback. 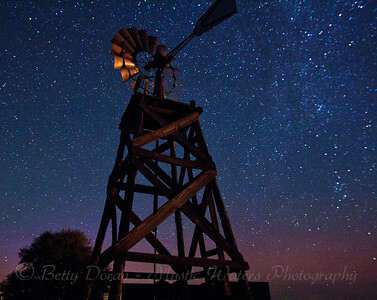 It's a crisp August night in the Oregon outback, and this vintage windmill stands tall against star studded skies and points to the very heavens above. 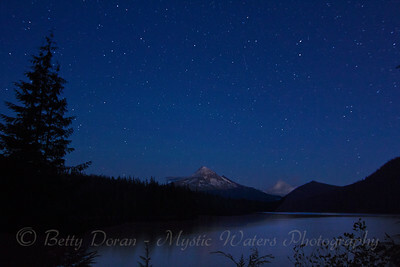 Meanwhile, the horizon dances with the approach of aurora... 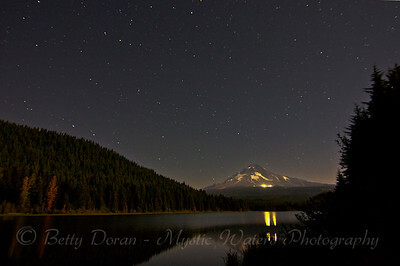 It's a magical night to be star-gazing. 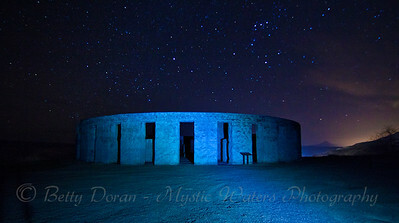 A mist rises from the valley below Stonehenge Memorial in Washington, and one wonders...what secrets does it hold? 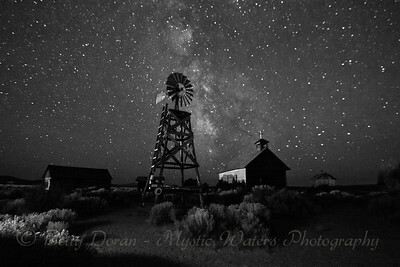 A study in black and white... A church from pioneer days and vintage windmill stand as a gateway to our past, and to the galaxy beyond. 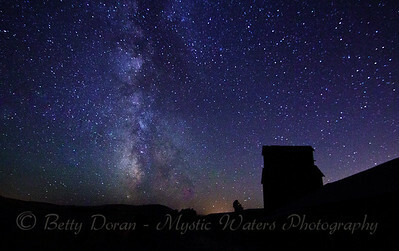 Taken at Fort Rock, in Oregon's Outback. 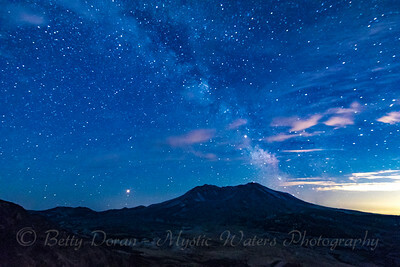 A day with a beautiful summer sunset capped off with an evening greeting the Milky Way over Mt St Helen in Washington. What an evening!